Welcome to another episode of Wildstorm Addiction! 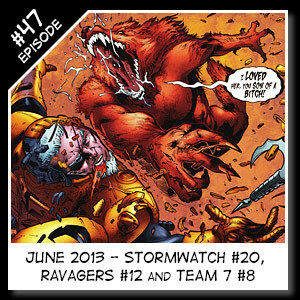 Our resident Wildstorm experts Joe David Soliz & Benjamin Murphy review Stormwatch #20, Ravagers #12, and Team 7 #8, as well as some other Wildstorm appearances in the new DCU 52. Another one bites the dust as this title too comes to an end. Under the new creative team, the title did remain interesting. 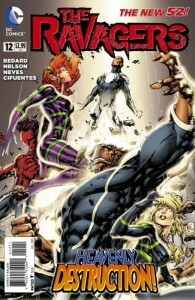 It also left things very opened ended so we’ll see what DC has planned for this group in the future. Welcome to another episode of Wildstorm Addiction! 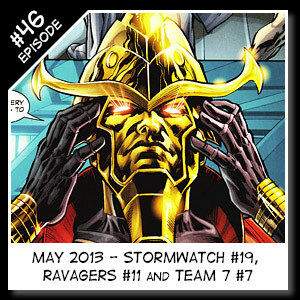 Our resident Wildstorm experts Joe David Soliz & Benjamin Murphy review the new DCU versions of Stormwatch #19, Ravagers #11 and Team 7 #7, as well as some other Wildstorm appearances in the new DCU 52! This month on our “Friends of Wildstorm” series, where we bring on a lifelong or recently converted fans of the Wildstorm Universe, we have Dave Bertrand a.k.a. DaveEB who is a regular at Clark’s Bar and can be seen spreading the Wildstorm love at the Comic Book Resource message boards sometimes too. 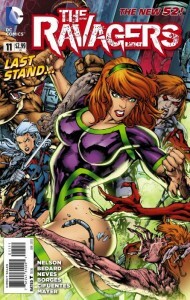 Dave gives us a quick background on why and when he started following Wildstorm, which was the Wildstorm Rising crossover in 1994.